As we know, a DVD movie can contain many chapters and titles. But you may just want to get some of the wanted chapters so as to save time. Looking for fast and easy ways to rip DVD chapters to play on your portable devices, share on video sites, etc.? Let's learn together how to convert DVD chapters to any video/audio formats without any hassles. To convert your desired DVD chapters, you need the help of a DVD ripping program that allows you to select DVD titles to convert. Here Aimersoft best DVD converter is highly recommended to help you finish your task. With it, you can convert only the titles you want to separate video files or merge them into a single movie in any popular video formats, including AVI, WMV, MKV, MOV, MP4, FLV, etc. Besides, you can even extract audio from your DVD movies. In addition, the built-in editor lets you customize your videos by cropping, trimming, rotating, adding watermarks, etc. If you're using a Mac, turn to Aimersoft best Mac DVD ripper, which allows you to convert selected DVD chapters on Mac OS X (including Lion and Mountain Lion). 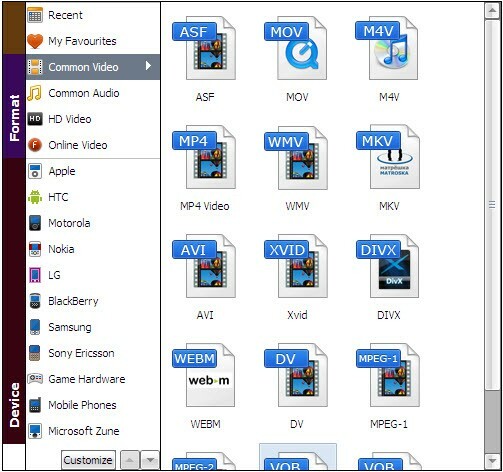 Note that the guide below uses Aimersoft DVD Ripper for Windows (Windows 8 compatible) screenshots. If you're using a Mac, please refer to DVD Ripper for Mac User Guide to learn how to convert DVD chapters on Mac in detail. Launch Aimersoft DVD Ripper and click "Load DVD" to select the DVD files from your DVD disc, DVD folder, ISO image file or IFO file to rip. Then loaded files will be displayed on the left source pane with titles listed. You can then select the chapters you want by clicking the checkbox. If you want to export the multiple chapters into one single video, please click "Merge into One File" at the bottom. When all the settings are OK, click "Start" to rip your DVD movies. When the conversion completes, you can find the ripped videos directly by clicking "Find Target" or opening your destination folder.